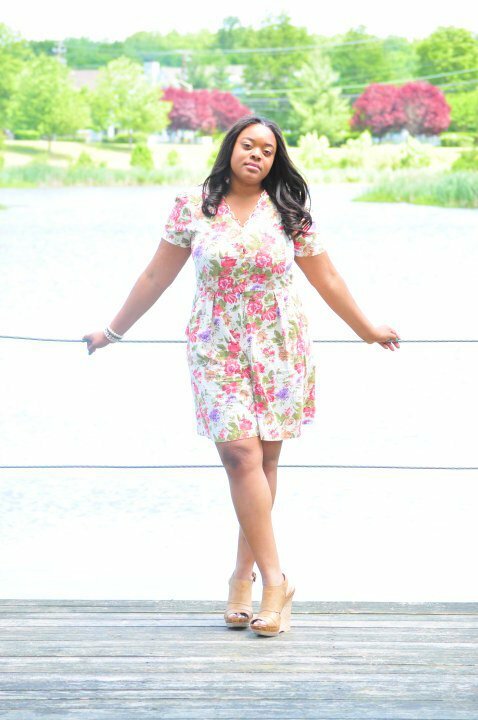 Today’s stylish curvy girl is Christina from New York. I contacted Christina to send in her pictures because I truly love her style and sense of fashion. Christina’s style is eclectic. It’s girlie, romantic, and edgy. As an editorial assistant for HoneyMag.com Christina knows a thing or two about style. She also writes a wonderful fashion blog called Love Brown Sugar, which I read every time she posts something new. Oh, and she has a thing for Kelsi Dagger shoes too (sounds familiar!). Well said Christina! Please be sure to checkout her blog Love Brown Sugar. Remember, if you would like to be considered for Stylish Curves of the day, please email your pics to stylishcurves@gmail.com along with your name and location. Also, you must write a brief description of how you embrace your curves.